Will the secret message in Dream Drop Distance change in 2.8? 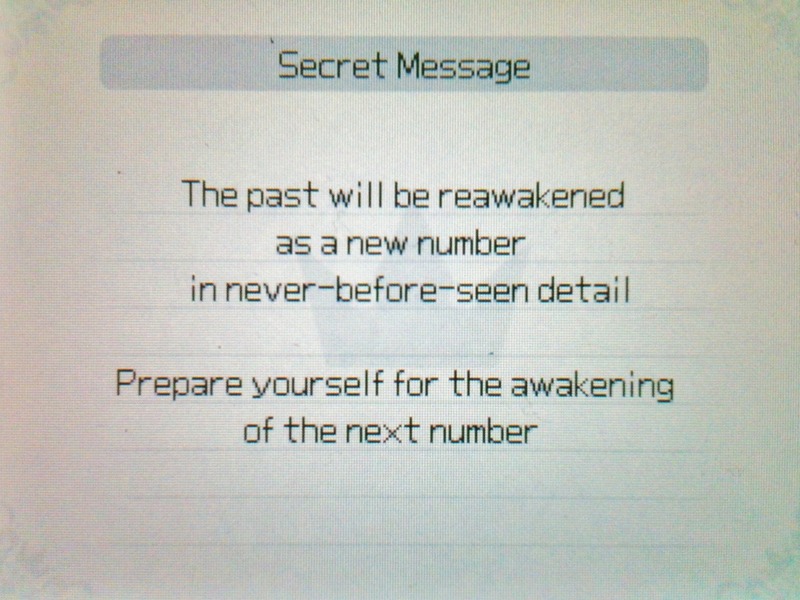 Well if you don't know, in the 3DS game, after you beat the game and get all the golden letters during the credits and you continue the game, you get a secret message that hinted to HD ReMIXes. So now that the HD ReMIXes are out, what will it say? The "This leads to..." message right? If so I imagine they would add something new. The letters unlock the "This leads to..." message right? We can finally tell you that Kingdom Hearts III...will never come out LOLOLOLOLOL"
They should just make it unlock a special KH3 teaser as a representation of "the awakening of a new number". It is one of the only games in the series with a secret ending that doesn't really have a lot of meat to it. Even Re:coded had the Xehanort thing and HD Theater had that new scene with Young Xehanort and Braig. KH3D, now that KH3 is more realized as a game and not a concept, would do good with having a brand new scene in it to further connect the title to KH3 and to give players something to strive for in that game since people still seem to need to be given something to make 2.8 worth their time or something. I imagine S-E's thinking is though that that is basically what 0.2 is. It's like a new secret ending for KH3D stretched out into a playable episode. After all, the framing device is meant to be Mickey telling the others about what happened to Aqua post-KH3D right?